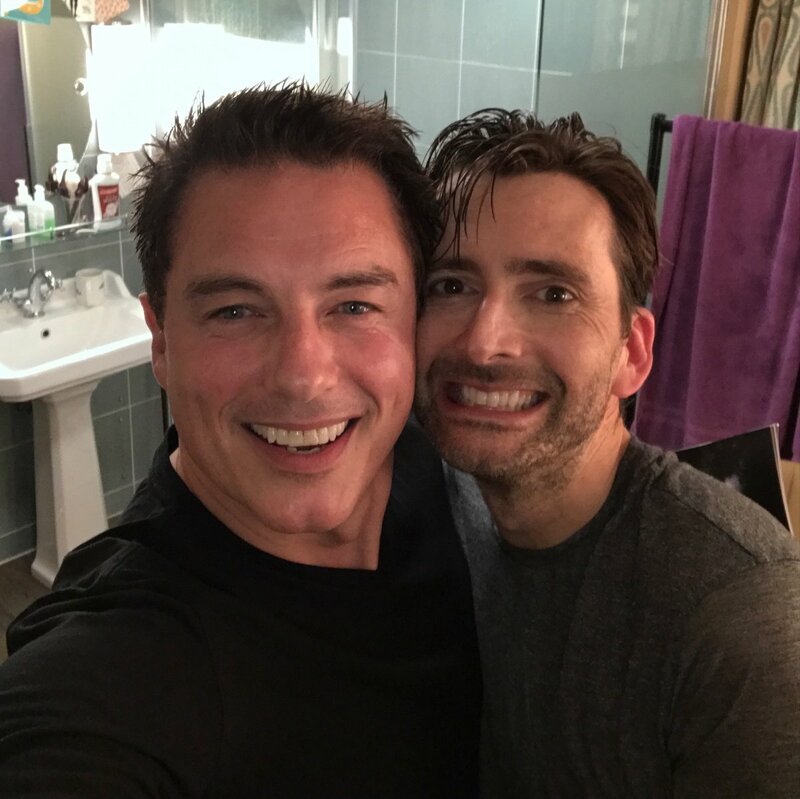 David Tennant returned to the West End stage to play a lothario in Patrick Marber抯 Don Juan In Soho at the Wyndham抯 theatre in London. The limited run started on Friday 17th March 2017 and ended on Saturday 10th June. Rehearsals started on Monday 6th February. The Press Night was Tuesday 28th March at 7pm. The performances were Monday to Saturday each week at 7.30pm with a matinee on Saturdays only at 2.30pm. The performance on Thursday 4th May was captioned and on Tuesday 9th May it was audio described. A limited number of � day seats were available from 10am at the box office on the day of each performance. Also TodayTix had a lottery for � front row for each performance. 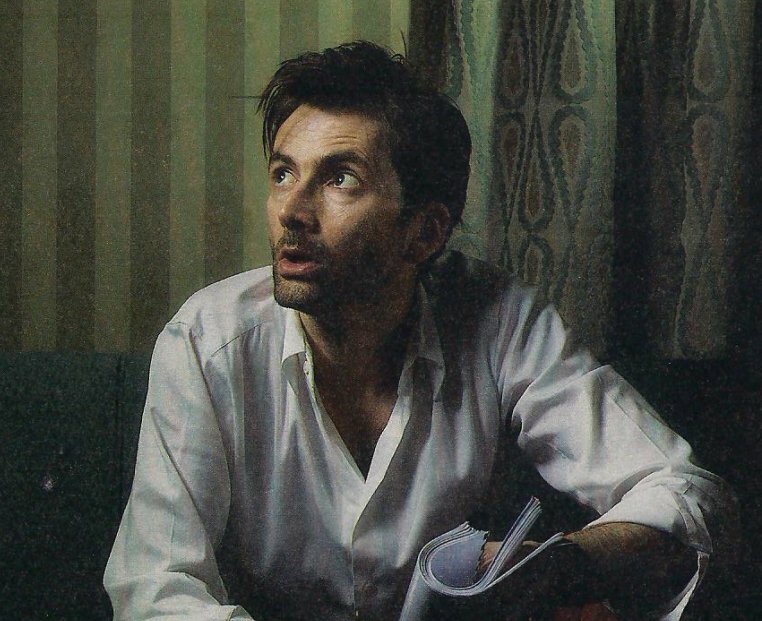 David Tennant played DJ who was described as 'the lordly DJ, a priapic lothario cutting a swathe through modern Soho.' The play was directed by Marber himself. Gawn Grainger played Louis and Adrian Scarborough played Stan. 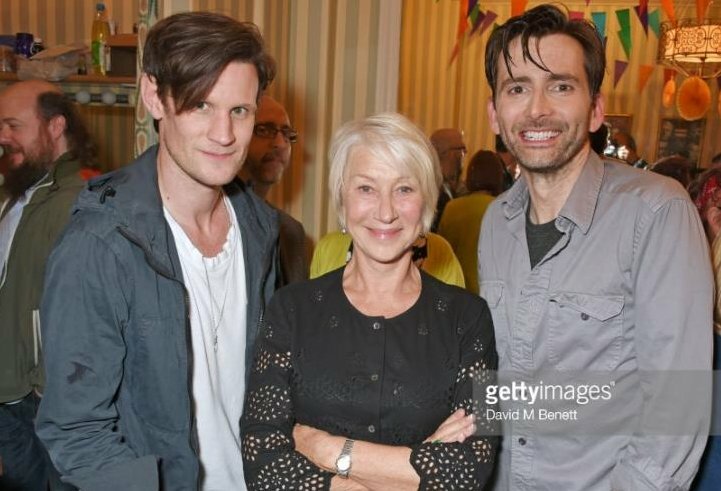 In February 2018 David Tennant won the Best Actor In A Play Award at the What's On Stage Awards for this role in Don Juan In Soho. Don Juan In Soho is a contemporary take on the classic Moli鑢e comedy Dom Juan. The play first premiered at the Donmar Warehouse in December 2006 when it was directed by Michael Grandage. 'The infamous, amoral hedonist in a society entranced by sensation. Moliere's farcical, tragic, anarchic Don Juan (1665) is the inspiration for Patrick Marber's new play in which the action of the original is relocated to present day Soho, London. 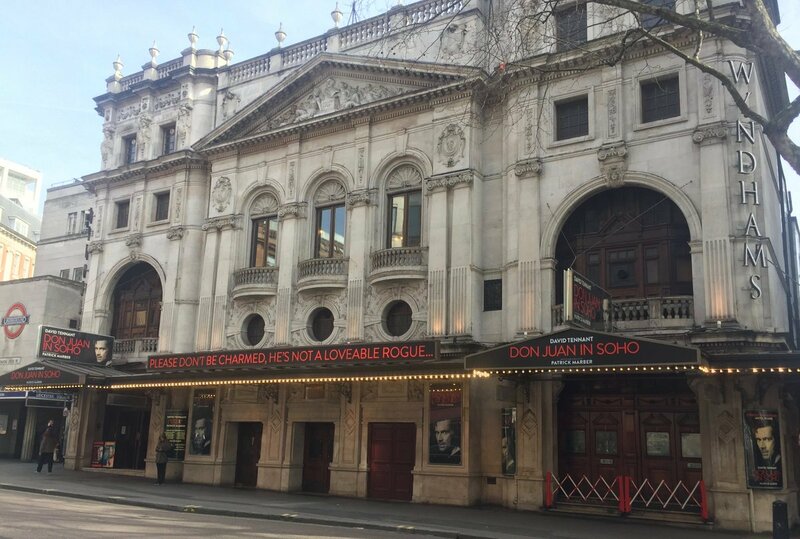 Unfortunately, due to music rights issues, there were no plans to film Don Juan In Soho during the run. David Tennant spoke about this at the beginning of May. Cast of Don Juan In Soho. Press reviews of Don Juan In Soho. Fan photos and videos of David Tennant at the stage door after Don Juan In Soho. Link to posts related to Don Juan In Soho on Blogger.com (usually with more detail). The winners of IARA Awards are announced tonight. David Tennant has been nominated for the Best Actor Award at the International Achievement Recognition Awards (IARA). David is nominated for his role in Don Juan In Soho. The 5th annual IARA Awards ceremony will take place on Saturday 22nd September at Hilton Hotel Canary Wharf in London. David Tennant won the Best Actor In A Play Award at What's On Stage Awards tonight. Unfortunately Don Juan In Soho did not win the Best Play Revival Award at the What's On Stage Awards tonight as Hamlet won. The winners of What's On Stage Awards are announced tonight. 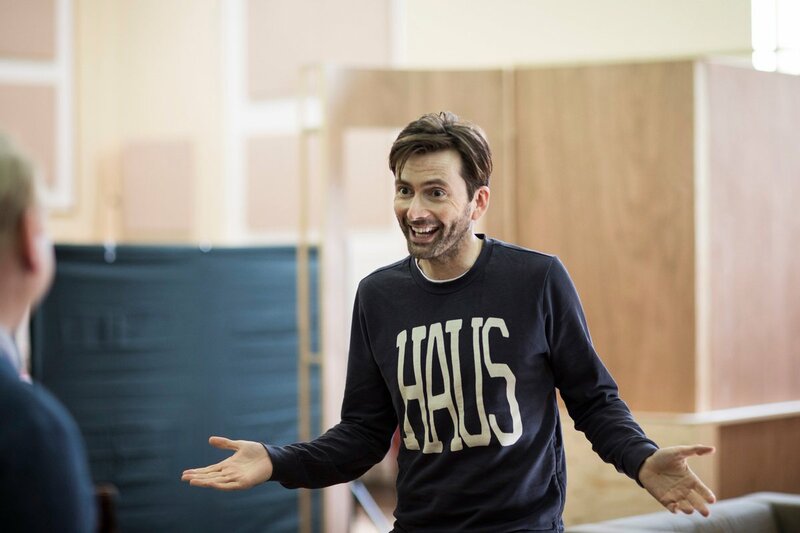 David Tennant and Don Juan In Soho have been nominated for What's On Stage Awards. David has been nominated for the Best Actor In A Play Award for his role in Don Juan In Soho. Don Juan In Soho has been nominated for the Best Play Revival Award. 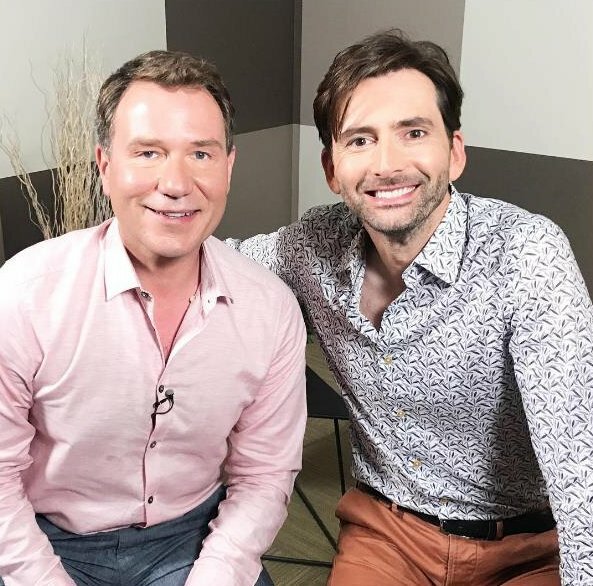 A photo of David Tennant with Good Morning presenter Richard Arnold has been posted to Twitter. The Observer has a 5 star review of Don Juan In Soho. MP3s of David Tennant's interview on Loose Ends. Radio Times gives Don Juan In Soho a 4 star review. South London Press also has a five star review of Don Juan In Soho. The Arts Desk awards Don Juan In Soho five stars. 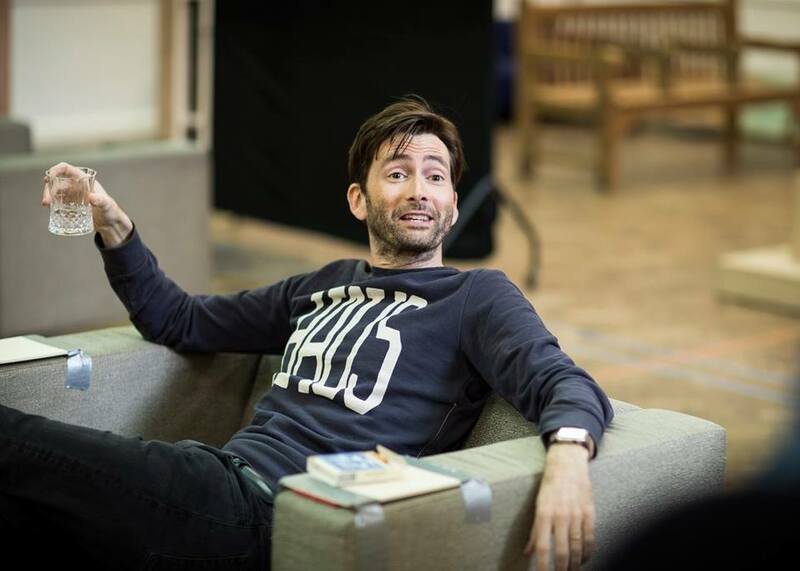 David Tennant tells Evening Standard "I stay in character as Don Juan for my (first) curtain call." Time Out awards Don Juan In Soho three stars. What's On Stage also gives David Tennant in Don Juan In Soho four stars in its review. The first review of David Tennant in Don Juan In Soho tonight was by The Guardian which gave it four stars. 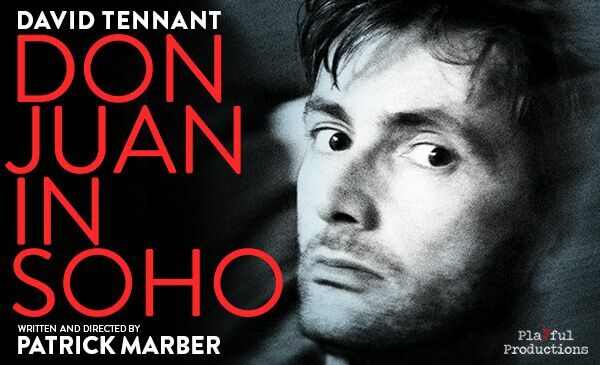 Tonight David Tennant plays the Press Night 11th performance of Don Juan In Soho at Wyndham's Theatre in London. Video of David Tennant's interview on The Andrew Marr Show today. The Don Juan In Soho script book will be available online in April. This book is already for sale at Wyndhams Theatre. David Tennant uses an English accent and is unshaven. His language is filthy at times! David Tennant also sings, dances and jumps over the furniture. He also revels more of his body than we've seen before! A photo of the outside of the Wyndham Theatre showing the Don Juan In Soho banners has been added to Twitter. Prop photos and a poetic update from Don Juan In Soho associate director Audrey Sheffield has been posted to Twitter. Broadway.com has an interview with Adrian Scarborough about Don Juan In Soho. David Tennant to be a guest on The One Show tomorrow (Thursday). David Tennant's interview in The Times Magazine today. The full cast has been announced for Don Juan In Soho. 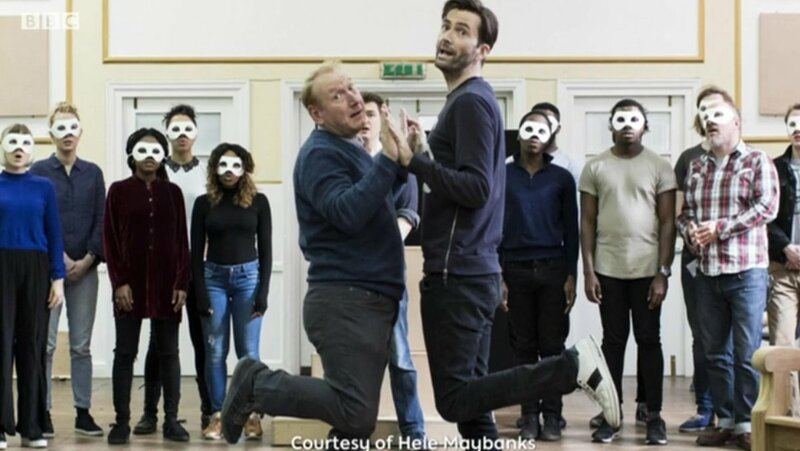 What's On Stage reports that Adrian Scarborough and Gawn Grainger will join David Tennant in Don Juan In Soho. 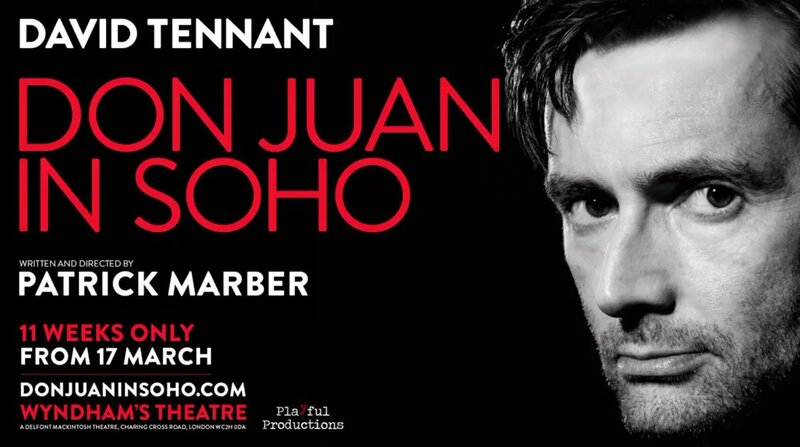 Tickets are now on sale for David Tennant in Don Juan In Soho. The limited run will start on Friday 17th March 2017 and end on Saturday 10th June. The Press Night is Tuesday 28th March at 7pm.